Have a reality show idea??? Pitch to Carlos King for a chance to have it appear on a major network! Back by popular demand, Carlos King is now accepting pitches for reality tv show concepts. Due to the success of a consultation that went from an idea to a series on the Oprah Winfrey Network (check out the testimonial below) King is now accepting pitches to see who has the next best reality show idea. For a fee, King will review pitches and provide instant feedback. Kingdom Reign Entertainment, LLC is always looking for ideas and big personalities that will become the next great reality television series. Once you agree to the terms and conditions, you will be contacted for a one-on-one consolation with Carlos King to pitch your idea. So, what are you waiting for? Sign up below. Please note we can only accept your materials if you read agree to the following TERMS & CONDITIONS during checkout. 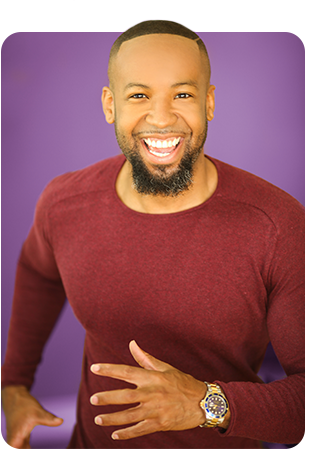 Find out how Martell and Melody Holt went from a consultation with Carlos King to landing their very own reality series on the Oprah Winfrey Network (OWN). Sign up for your consultation today!